On one call of love! Lovely poem, Meenakshi. I don’t know how much you know about the Christian religion. 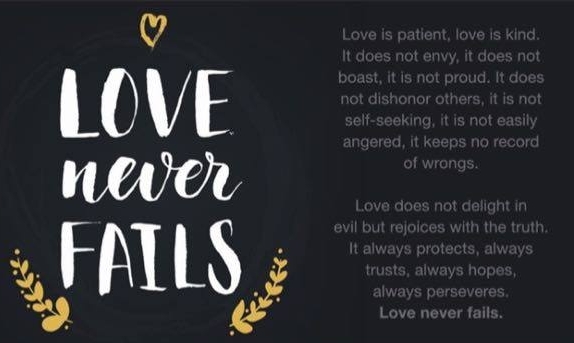 In case you aren’t already aware, the quote about love in the image you posted above is from the Christian New Testament, 1 Corinthians chapter 13 verses 4 – 8. Yea I know about this quote. My daughter forwarded this to me explaining all about it which she received from her Christian friend. She can call his name and see if he responds. He might be wishing for same or else write a book titled with his name. That way, the world will take their name together. He the title and she the writer. His love is forever, unchanging! If He calls us, He will take us to a place with forever love! Simply marvelous words from the heart that yearns for his Love, Meenakshi. So beautiful and His Love surpasses all. Thank you so much Kamal! The is soo moving mam.The love for her is just to listen her name from him.everyone craves for that.